This little bird was hanging around in front of my office all morning today. I looked through several online bird-identification guides, but I still have no idea what it is. Addendum: My friend Karl Elvis identified the bird. 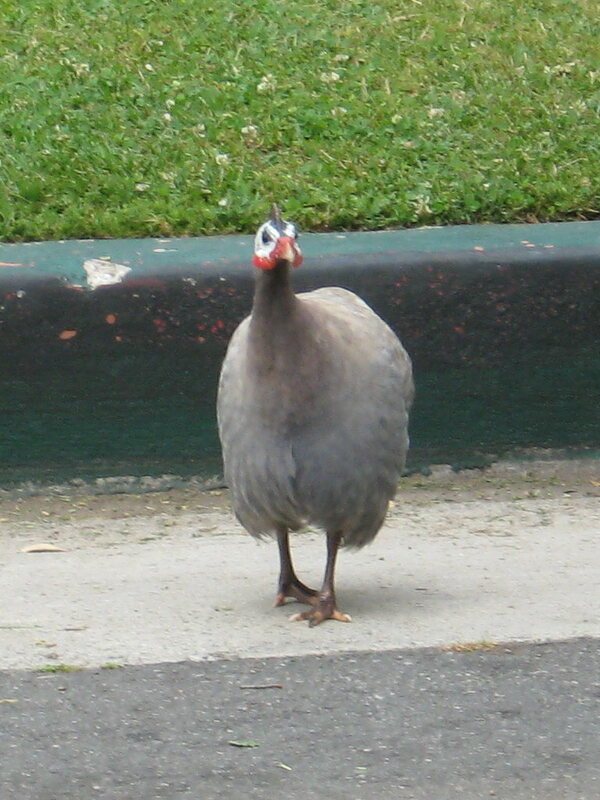 It’s a guinea hen. 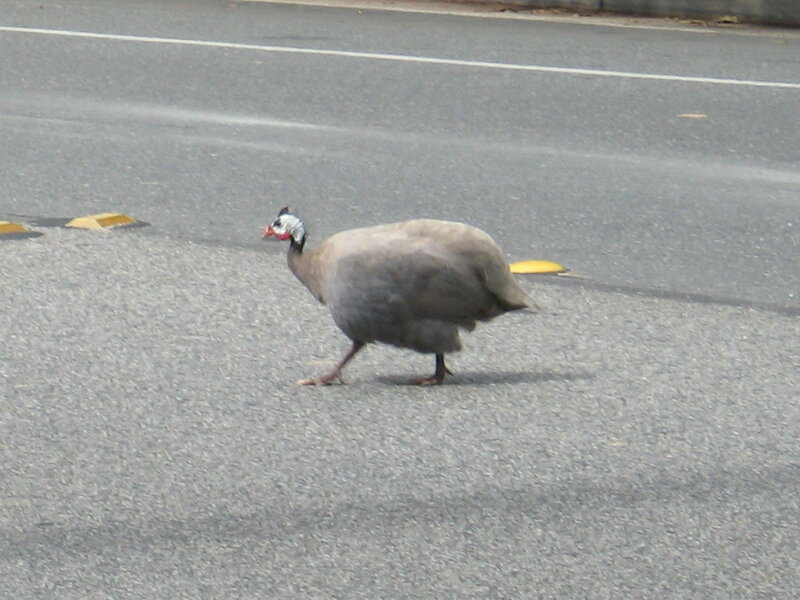 Apparently, they are kept as domestic fowl, but they are originally from Africa. I guess that would explain why it wasn’t in the ‘Birds of North America’ guide.